Infrastructure — that integrated collection of transportation, water, energy and other public utility networks — is the backbone of a modern, competitive economy. It is a platform for business innovation, productivity growth and job creation. 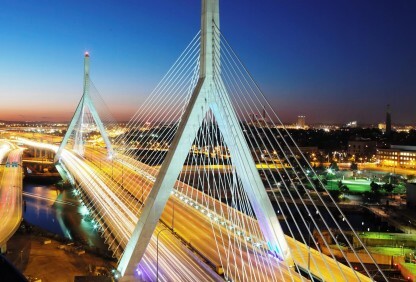 Modern infrastructure provides the basis for an economy that supports a high quality of life. For the better part of a century, American infrastructure was the envy of the world. U.S. roads, airports, water and energy systems helped make the U.S. standard of living the highest in the world. 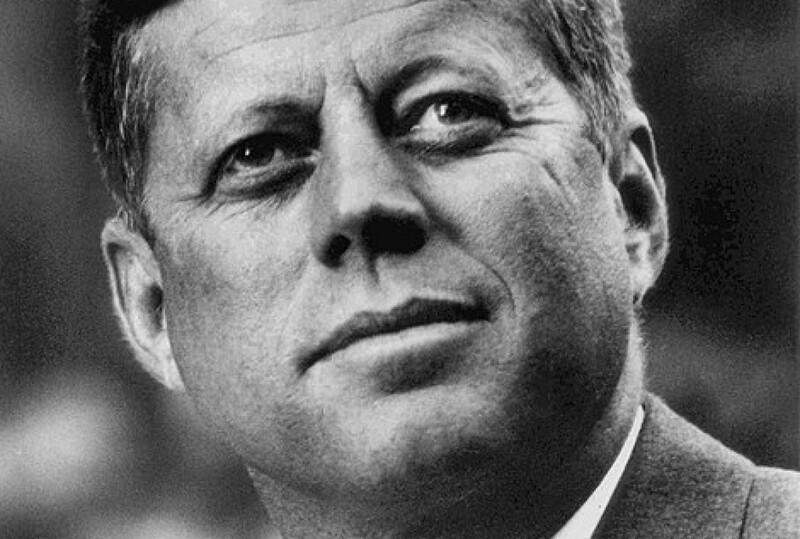 Other nations looked on, envious of the bold commitment America had made to our economic foundation. 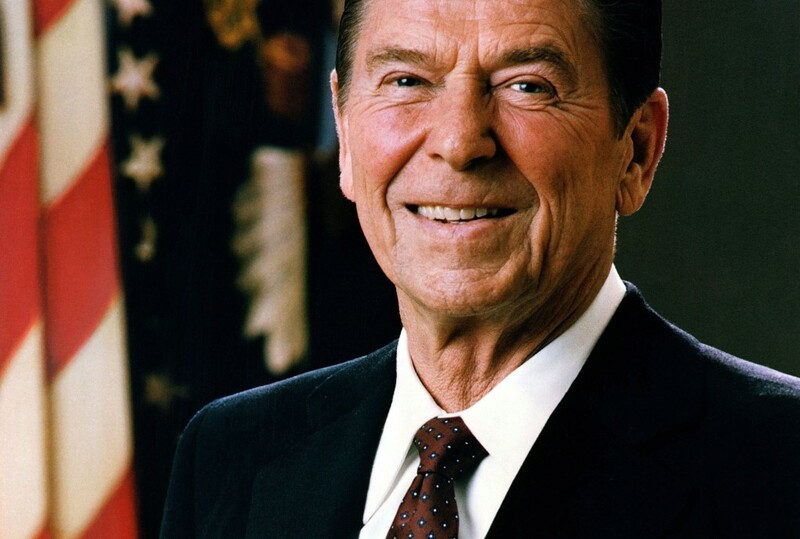 America’s historic success in consistently designing and building the world’s best, most extensive infrastructure rested on a social contract that supported public financing, private investment, reasonable regulatory standards, and predictable timelines for approving and completing major projects. Over time, each of these pillars has eroded. Public financing has not kept pace with economic and population growth. Private investment has been siphoned off by better returns elsewhere. The U.S. regulatory system has grown increasingly complex, offering many more avenues for critics or opponents to delay or derail projects. Most telling, federal investment in transportation and water infrastructure has dropped to just 2.7 percent of total federal spending, according to the Congressional Budget Office — a sharp reduction from peak investment levels of 5.4 percent in the mid-1960s. As Business Roundtable outlined in Road to Growth, the cost of inaction is high and growing, and we have tumbled far down the global rankings. Making American infrastructure great again is a prerequisite for delivering the job creation, growth and standard of living Americans deserve and expect. It is also a powerful catalyst for generating connections and creativity that will spark new and unexpected waves of economic innovation. We know how to do this. We have done it before. The policies outlined in this document chart a course to restoring a standard of excellence that will once again make the United States the envy of the world. They are the steps we need to take to secure America’s future. 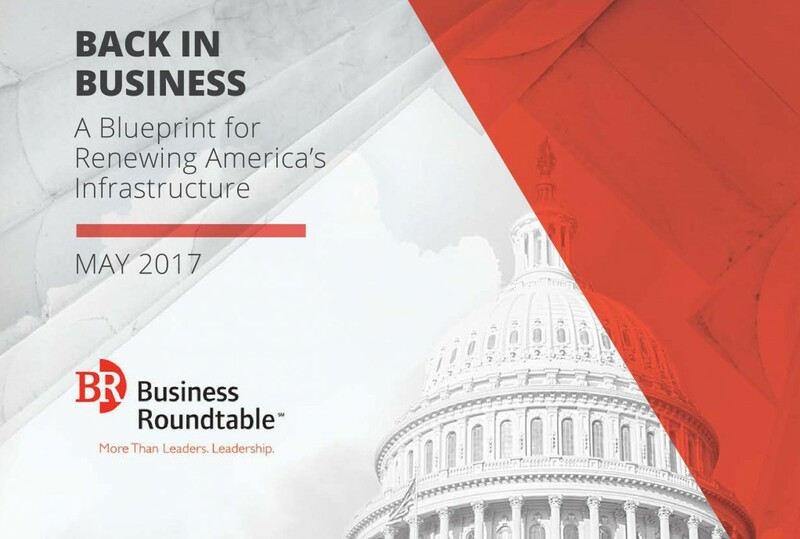 Business Roundtable CEOs are committed to working with the government to foster a healthy business climate that creates opportunity for everyone in the United States. We have identified attainable targets that will produce real, sustainable growth for our country. In this document, we have outlined an action plan to revitalize America’s aging infrastructure. We start by articulating a set of principles that reflect our long-held view that government has a valuable role to play in supporting infrastructure development. We follow with specific recommendations on how the private and public sectors can translate those principles into action. These recommendations are organized into five sections: Surface Transportation, Ports and Inland Waterways, Aviation, Drinking and Wastewater, and Energy. We also provide recommendations for innovative approaches to funding and financing. We conclude by providing a glossary of infrastructure-related terms that appear throughout the document. Taken as a whole, we offer this document as a starting point for the important policy decisions being considered in Washington, DC, and in state capitals across the nation. Those who most benefit from a particular infrastructure asset should generally bear the cost for it. Promote self-sustaining, long-term funding solutions with clear, direct connections between revenue generated by user fees and the construction and maintenance of infrastructure assets. Ensure that those revenues remain dedicated to their intended purposes. Government policies should encourage the use of private funds to support infrastructure development. Lower barriers that inhibit private investment in infrastructure. Incentivize the private sector to invest in projects that have broad public benefits. Policymakers should leverage scarce public funds strategically. Focus and prioritize government resources on programs and projects that will have the greatest economic impact and promote the most long-term economic growth. Improve coordination among funding streams to better support large-scale, multimodal projects. Infrastructure should not be overburdened by inefficient regulatory regimes. Strive for balanced regulatory policies that protect the public interest, promote private investment and increase predictability. Streamline the permitting processes within and across agencies and jurisdictions to facilitate efficient project development and delivery. Government can play a powerful role in supporting technological breakthroughs. Encourage collaboration between the private sector and government to develop innovative infrastructure solutions. Promote incentives for research and development (R&D) that will lay the foundation for future generations of infrastructure projects. Infrastructure assets need continuing care to serve their intended purposes. Develop programs that effectively manage and upgrade existing infrastructure assets. Dedicate funds to keep infrastructure assets in good repair throughout their planned lives. A robust and well-maintained surface transportation network — including roads and bridges, public transit, and rail systems — has been an essential building block of America’s economic success and dynamism: The roughly 164,000 miles of roads and bridges in the national highway system expand supply chains and link commercial hubs with sources of demand; more than 800 urban transit systems connect millions of workers with economic and job opportunities, while 25 percent more Americans take public transit to work today than did a decade ago; and roughly 43 percent of all intercity freight transport and one-third of the country’s exports are carried by rail. Unfortunately, growing demand and natural wear-and-tear on decades-old systems are starting to take their toll. Each year, congestion across the nation’s urban highway systems costs the United States a total of $160 billion in delays and wasted fuel, and more than one out of every five bridges (23 percent) in the national highway system is either structurally deficient or functionally obsolete. Higher volumes of freight shipments over the next decades are expected to drive up demand for rail capacity and create choke points at high-capacity nodes where major freight lines and passenger rails cross paths (e.g., Chicago and key access points in the Northeast Corridor). Unfortunately, growing demand and natural wear-and-tear on decades-old systems are starting to take their toll. Securing adequate funding to respond to these pressures and expand system capacity continues to be a major challenge. Specifically, funding levels for the Highway Trust Fund (HTF), the primary source of federal spending on roads and mass transit systems, are in systemic, long-term decline as the motor fuel tax generates less and less revenue over time. And although the nation’s freight rail network continues to benefit from substantial private-sector investment, a balanced regulatory environment and additional investments are needed to alleviate bottlenecks at key hubs where freight and passenger traffic intersect. Finally, more can be done to expedite the review and permitting processes for projects that do secure funding — keeping development costs down and accelerating project delivery. Increase the federal gasoline tax and index it to inflation or the construction index. The federal motor fuel tax has not been increased since 1993 and is not indexed to inflation. Meanwhile, capital costs for transportation infrastructure projects have increased much faster than the rate of inflation over the past two decades. As a result, the federal gas tax’s purchasing power has been eroded by roughly 38 percent over the past 25 years. In addition, rising vehicle fuel efficiency has reduced gasoline consumption and lowered HTF revenues. Transition to a mileage-based user fee. Transitioning to a mileage-based user fee is another option for funding the HTF. In addition to more narrowly targeting road use — not merely fuel use — a mileage-based fee has the potential to be a more sustainable source of revenue. State experimentation with such a fee — or other “user pays” alternatives to the gasoline tax — should be supported by federal policymakers. Develop transparent, standardized criteria for project selection and prioritization across agencies and funding sources. Given the number of projects competing for public funding and the numerous potential sources for that funding (discretionary programs, federal transportation credit programs, the HTF, etc. ), federal agencies and programs should adopt a transparent and standardized set of selection criteria. Most importantly, these criteria should prioritize projects whose impacts are most directly aligned with a national or regional economic need or growth strategy (e.g., the Gateway Project would relieve congestion for both freight and passenger rail travel along the Northeast Corridor). Prioritize and expand federal funding for multimodal programs like the Transportation Investment Generating Economic Recovery (TIGER) and Fostering Advancements in Shipping and Transportation for the Long-Term Achievement of National Efficiencies (FASTLANE) grants. The TIGER and FASTLANE grant programs fund regionally and nationally significant, multimodal and cross-jurisdictional transportation projects that often have difficulty accessing traditional funding sources. Demand for these programs far outstrips available funding, and they should be expanded. For example, in 2016 the Department of Transportation received 585 eligible applications for more than $9.3 billion in TIGER grant funding, while the program disbursed less than $500 million. Streamline the application processes across funding sources and grant programs. In the same way that the Fixing America’s Surface Transportation (FAST) Act streamlined and improved the transparency of the permitting process, the federal government should also create a streamlined and standardized process for applying for project funding. Such a process would replace the current piecemeal system in which an infrastructure project that is seeking funding from multiple agencies or programs is subject to numerous and uncoordinated requirements, procedures and timelines. 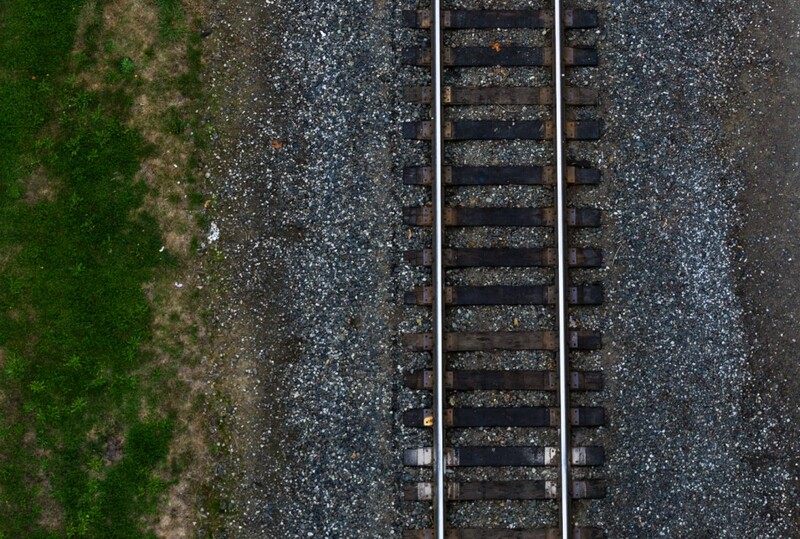 Maintain a balanced regulatory approach toward railroad rate-setting. The government’s current regulatory approach effectively balances the need to protect rail users from unreasonable railroad actions with the need to maintain an environment in which rail operators can make the investments necessary to keep pace with growing demand for freight transportation. Streamline the National Environmental Policy Act (NEPA) review process for transportation projects. The time taken to complete the NEPA review process tripled between the 1970s and 2011, from an average of 2.2 years to 6.6 years. Delays of this magnitude can have significant negative impacts on project costs and delivery times. The Administration and Congress should review whether the NEPA process could be accelerated while maintaining environmental quality. The U.S. network of ports and inland waterways is unique among the nation’s infrastructure systems in that it is primarily dedicated to commercial transportation: Ports serve as gateways for international trade while inland waterways provide cost-effective intermodal freight transportation. The average inland waterway navigation lock is more than 50 years old, and the average delay per lock nearly doubled from 2000 to 2014. As such, a modern and smoothly operating port and waterway system is absolutely critical to supporting U.S. economic activity and boosting competitiveness across virtually every sector and industry. In fact, cargo activity at the nation’s ports was responsible for nearly $4.6 trillion in total economic activity in 2014. However, each of these systems faces significant and distinct challenges. For inland waterways, aging assets are increasing costs and delays for system users. The average inland waterway navigation lock is more than 50 years old, and the average delay per lock nearly doubled from 2000 to 2014 — from one to two hours. Meanwhile, the nation’s ports face pressure from new generations of ever-larger container ships — even more so after the Panama Canal’s expansion in 2016 — which will require deeper channels and larger freight terminals to accommodate them. Dedicated federal funding is needed to support spending by state and local governments to update and expand the capacity of U.S. ports, and steps must be taken to both improve asset management and attract new sources of funding for the country’s aging inland waterway network. Increase the barge fuel tax and index it to inflation. Although the barge fuel tax was last raised in 2014, the increase was insufficient to meet the full needs of the inland waterway system. Each $0.01 increase in the fuel tax would add an estimated $4.6 million to the Inland Waterways Trust Fund each year. In addition, the tax is not indexed to inflation, which will erode the purchasing power of the fund over time. Dedicate all Harbor Maintenance Trust Fund (HMTF) revenue to harbor maintenance. The HMTF runs an annual surplus, which Congress often redirects toward unrelated programs. Given the scale of maintenance and updates required to keep pace with the demands of modern shipping and vessel size, Congress should spend all HMTF revenues on harbor-related maintenance and improvements. The U.S. Army Corps of Engineers’ current approach to managing America’s inland waterways is inefficient and unsustainable. Specifically, the Corps should undertake a study to (1) determine the monetary value of port and waterway assets and their economic value to local and regional economies and (2) determine the specific level of funding necessary to maintain them. Based on this analysis, the Corps should review and prioritize its backlog of investments. Extend the Army Corps of Engineers pilot program for public-private partnerships (P3s) to inland waterways. Congress should authorize the Corps to extend its pilot program on P3s to the nation’s inland waterways. To the extent that such partnerships explore user-based fees, such fees should balance the usage of waterway facilities with miles traveled to avoid disadvantaging certain regions. Prioritize and expand funding for the TIGER and FASTLANE grant programs. Ports and inland waterways are important pieces of the country’s multimodal transportation system. In the same way that complex, nationally significant highway and bridge projects should be prioritized and supported with increased multimodal grant funding, increasing federal support for these programs will also improve the ability of ports and waterways to function as key connectors between international markets and regional U.S. markets. Additionally, FASTLANE eligibility should be expanded for port and freight-mobility projects. Aviation infrastructure is an asset that pays dividends across the U.S. economy. The civil aviation sector creates and sustains high-paying jobs, anchors many regional growth and development strategies, and accounts for roughly 5 percent of U.S. gross domestic product. 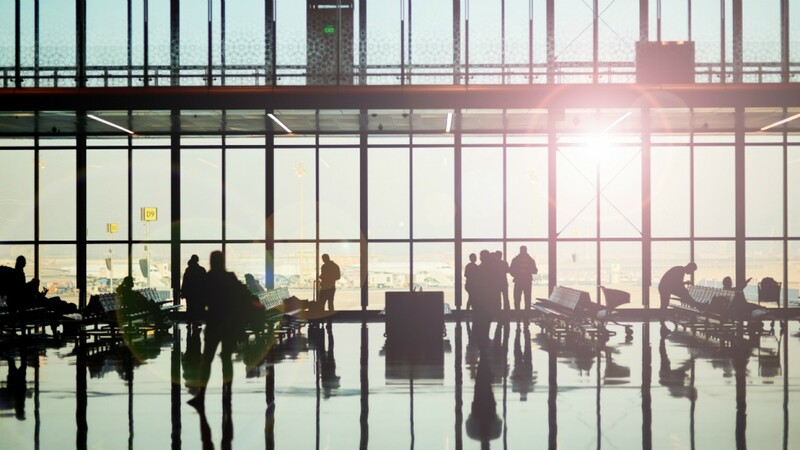 Approximately 800 million foreign and domestic passengers move through U.S. commercial airports every year, providing the country’s first impression on millions of international visitors. Unfortunately, the nation’s aviation infrastructure is struggling to keep pace with rising demand. Thanks to increasingly crowded terminals and runways, outdated facilities, and mounting flight delays, U.S. airports are gaining an international reputation for underperformance; only five U.S. airports rank among the world’s top 50. These conditions are on track to worsen as, absent key policy changes, future demand is expected to outstrip future investment. U.S. airports are gaining an international reputation for underperformance; only five U.S. airports rank among the world’s top 50. In fact, the U.S. Travel Association estimates that 39 of the nation’s 50 largest airports will soon begin experiencing “Thanksgiving-like” congestion conditions at least one day per week. Moreover, the Federal Aviation Administration’s Next Generation Air Transportation System (NextGen) program — designed to increase efficiency and flexibility at airports while mitigating environmental impacts — is behind schedule and will fail to deliver on its promised impacts. Key policy and programmatic changes must be made to address these issues, unlock new sources of much- needed investment and modernize the aviation infrastructure system. Expand opportunities for private-sector investment in airports. 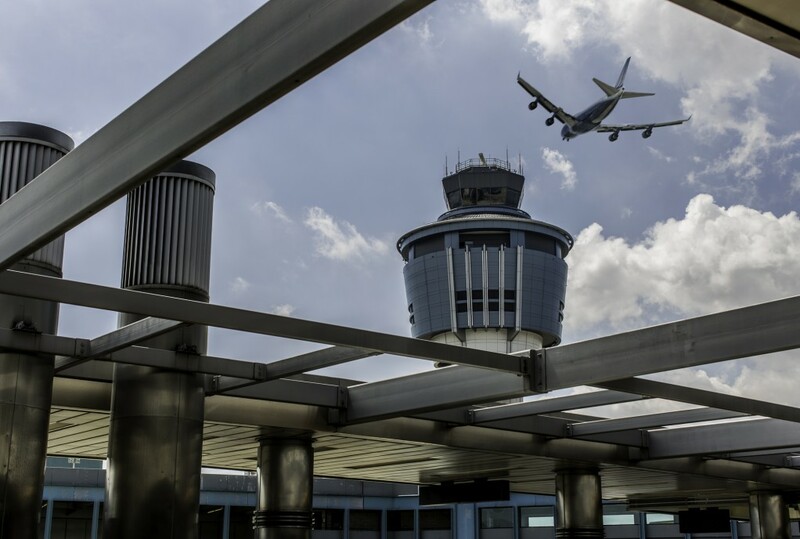 Lift the provision in federal law that prohibits more than one hub airport from participating in the Airport Privatization Pilot Program (APPP) at a time. This restriction severely limits opportunities for private investment in aviation infrastructure and should be lifted to allow multiple hub airports to pursue potential private investment options concurrently, as planning and negotiations around P3s can take several years. Clarify that participation in the APPP does not have to be an “all or nothing” proposition. Airports around the world have benefited from a variety of alternative financing structures — including arrangements in which public entities retain a majority interest in a project while accepting private investment. However, the current APPP statute requires clarification to affirm that American airports may pursue financing options that fall between purely public or purely private ownership options. Provide additional funding to support predevelopment activities associated with private investment proposals. Many potential public-sector sponsors of these investments lack sufficient resources to fund solicitation, evaluation or planning of private investment proposals in a timely manner. Allow airports more flexibility regarding facility charges. The federal cap on passenger facility charges was last raised in 2001 and has not been adjusted for inflation. Congress should not only raise the cap but also provide airports increased flexibility to set passenger fees. This flexibility will increase their ability to respond to market conditions and efficiently manage passenger expectations with infrastructure needs. A reliable funding or financing mechanism is urgently needed to place this effort back on track. One option that Congress could pursue is a governance model similar to Canada’s: transferring air traffic control operations to a new nonprofit corporation that can charge user fees. In fact, Canada operates the second busiest commercial air space in the world at a significantly lower cost than the United States, thanks in large part to its implementation of advanced technology. Another option would be for Congress to authorize and appropriate a long-term funding stream for this purpose. All dedicated aviation revenues should be used exclusively for their aviation purposes. Specifically, the Airport and Airway Trust Fund should be dedicated to the nation’s aviation system and should not be tapped to pay for other needs. Well-maintained drinking and wastewater infrastructure systems are necessary for creating healthy and economically vibrant communities. They provide families with clean drinking water; reduce pollution in rivers, lakes and oceans; and prevent sewage overflows that would harm public health and wildlife. 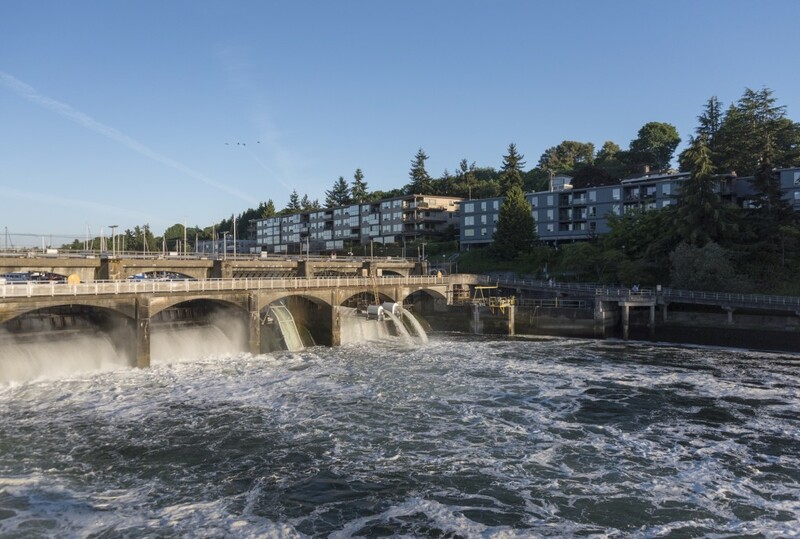 Despite its critical importance to the most basic activities of everyday life, drinking and wastewater infrastructure across the country is aging, fragmented and strained. Many of these systems were built in the early to mid-20th century, and their assets are approaching the ends of their useful lives. Roughly 240,000 water mains break in the United States each year, leaking billions of gallons of treated drinking water worth approximately $2.6 billion. More than 56 million new individuals are expected to be added to wastewater treatment systems within the next two decades. A renewed commitment is needed to rebuild old systems and build new capacity to support growing demand, mitigate future risks and strengthen local water markets. 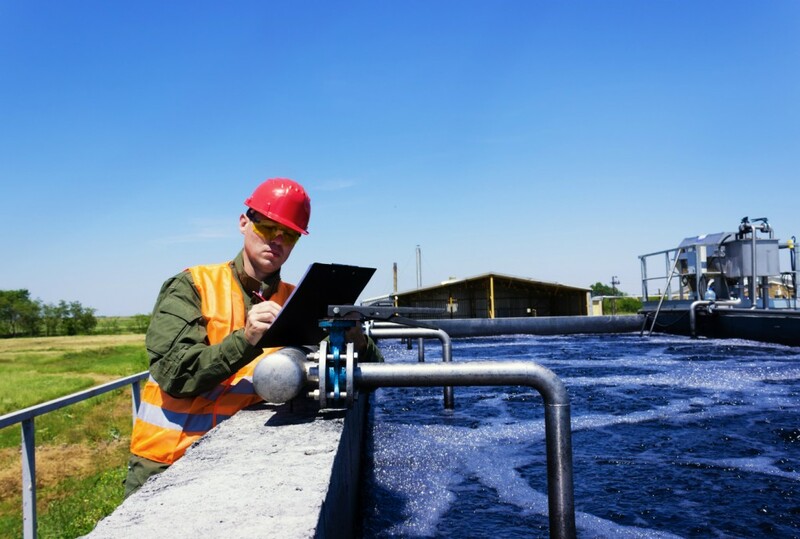 More than 56 million new individuals are expected to be added to wastewater treatment systems within the next two decades, and accommodating this additional demand will require an estimated $271 billion in additional funding. Climate change — including more severe droughts and more frequent extreme weather events — will place additional strains on infrastructure installations and require systems to expand and adapt. Despite these urgent needs, current funding is extremely constrained, and alternative financing sources must be explored. Less than 5 percent of federal infrastructure spending supports drinking and wastewater systems, and the vast majority of U.S. water systems are owned and operated by municipalities, which lack the resources necessary to make capital-intensive investments in maintaining, replacing and upgrading assets. In fact, there are roughly 56,000 community water systems, 19,000 wastewater pipe systems and 14,000 wastewater treatment facilities across the United States. Within this context, policy changes should prioritize improving the stewardship and management of existing resources, incentivizing market efficiencies, and removing barriers to outside sources of financing. Expand state revolving fund (SRF) eligibility to include prefeasibility studies. Currently, entities that wish to explore consolidation are ineligible for SRF funds. Providing a financial incentive could prompt more utilities to undertake the data collection and exploration processes necessary to make an informed decision regarding consolidation. Set aside a portion of SRF money to exclusively fund consolidation. Currently, utilities interested in consolidating are forced to compete with every other type of project for funding. Give entities that are out of compliance with environmental laws and regulations the option of choosing to consolidate instead of facing enforcement action. Accelerate the adoption of innovative technologies. Local municipalities are understandably risk averse when it comes to adopting new technologies, despite their potential to improve the effectiveness and efficiency of water treatment and management processes. The federal government should incentivize the adoption of these technologies by establishing a “technology test-bed” program to evaluate, demonstrate and approve new approaches. Such a program could be funded by the private sector under federal regulatory oversight, funded by the federal government with participation from the private sector or run as a P3. The government should require risk-based asset management plans from all water and wastewater systems that receive federal funding. The current regulatory approach is built around an overly simplistic age-based approach to replacement timelines. By contrast, a risk-based approach would evaluate which assets are most likely to fail regardless of age. This approach would ensure that limited resources are used more efficiently and strategically and would reward innovation in system design, delivery and maintenance. Increase funding for Water Infrastructure Finance and Innovation Act (WIFIA) programs. Because of the extremely low default rate for water infrastructure projects, WIFIA is estimated to leverage funding at a ratio of at least 50 to 1. Consistent and sufficient funding for such an efficient program will accelerate investments in our nation’s water infrastructure by providing attractive low- interest loans for regionally and nationally significant projects — in the same way that the highly successful Transportation Infrastructure Finance and Innovation Act (TIFIA) program has increased access to financing for transportation projects. Finally, the Administration should expand the use of WIFIA to agencies beyond the U.S. Environmental Protection Agency — such as the Bureau of Reclamation — and initiate the program at the U.S. Army Corps of Engineers as Congress intended. Increase access to innovative financing sources for water infrastructure projects. The government should lift restrictions on Private Activity Bonds (PABs) for water projects and make drinking water, wastewater and drainage projects eligible under any potential national infrastructure bank proposal. Existing state infrastructure banks should likewise expand eligibility for water projects. America’s energy infrastructure is the backbone of the nation’s energy sector and a key driver of growth, job creation and competitiveness throughout the economy. Maintaining a modern, flexible and secure network of electric power grids, oil and natural gas pipelines, storage facilities, and other assets is essential to delivering affordable and reliable energy to U.S. businesses and consumers. Technological and policy drivers are actively reshaping how and where energy is produced and consumed, which in turn places new demands on the nation’s energy infrastructure. Successfully meeting these demands will continue to require substantial levels of private-sector investment. For example, updates to the electricity transmission and distribution network will require an estimated $880 billion in investment by utility companies over the next 20 years. A healthy investment environment and supportive government policies are absolutely essential to turning on and sustaining the flow of private capital. Unfortunately, permitting delays and regulatory uncertainty at the federal, state and local levels have created a backlog of infrastructure projects and locked up billions of dollars of potential investment. Overlapping and duplicative requirements, inconsistencies across agencies, and lengthy administrative processes act as costly speed bumps. For instance, the NEPA review process often takes more than a year to complete and has increasingly been used by project opponents to delay projects even further. Siting interstate transmission lines can be a particularly burdensome process, with some projects forced to wait for more than a decade just to secure the necessary permits and settle cost allocation issues among states. Updates to the electricity transmission and distribution network will require an estimated $880 billion in investment by utility companies over the next 20 years. Regulatory actions taken by the Obama Administration — including mechanisms to expedite the permitting process for large infrastructure projects (Title 41 of the FAST Act or FAST-41) and the creation of a Rapid Response Team for Transmission — represent promising first steps toward simplifying and accelerating the permitting and approval process. However, much more can and should be done to accelerate and unlock critical investments in the nation’s energy infrastructure system and ensure that the United States remains a global leader on energy and innovation. Appoint a new executive director of the Federal Permitting Improvement Steering Council, who would report directly to the director of the National Economic Council and be responsible for regularly updating the President and Cabinet on the status of major energy projects. In addition, direct agency heads to designate chief environmental review and permitting officers, as required by FAST-41. These actions would be consistent with the President’s Executive Order placing permitting of high-priority projects under the purview of the Council on Environmental Quality. Consider extending FAST-41 reforms, which currently apply only to major infrastructure projects costing more than $200 million, to projects that fall below the current level. Task the executive director to develop a plan to improve coordination of federal and state permitting efforts and timelines. Conduct a thorough review of the NEPA process. The NEPA review process often takes more than a year to complete and is increasingly being used by project opponents to litigate against validly issued permits. The Administration and Congress should review whether the NEPA process can be accelerated while maintaining environmental quality. Establish federal backup siting provisions for nationally or regionally significant electric transmission infrastructure projects. Major interstate transmission lines face significant regulatory hurdles and challenges related to cost allocation for regional transmission lines that cross multiple states. Existing statutory provisions in Section 216 of the Federal Power Act, as enacted through the Energy Policy Act of 2005 (EPAct 2005), have not provided an expedited means for siting nationally significant transmission lines, which was the intent of the legislation. Expand coordination on transmission infrastructure. 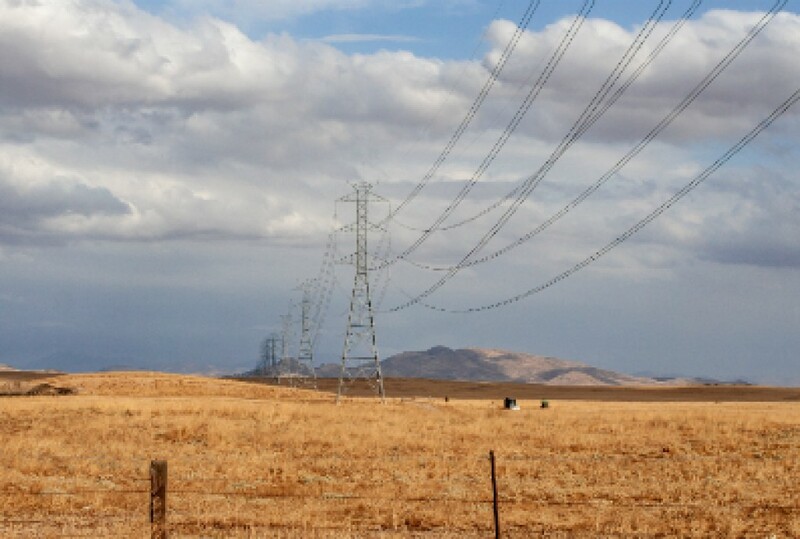 Improved coordination among federal agencies, such as the Federal Energy Regulatory Commission (FERC), the Department of Energy, state regulators and other stakeholders, is needed to address the complexity, unpredictability and inefficiency of transmission planning, siting and cost allocation decisions for interstate transmission projects — particularly for those that cross federal lands. Maintain supportive regulatory policies for transmission investment. In accordance with Section 219 of the Federal Power Act, as added by EPAct 2005, FERC should continue to provide transparent rate incentives for cost-effective upgrades to the nation’s transmission infrastructure to facilitate grid modernization and support competitive wholesale electricity markets. FERC should approve returns on equity that reflect the need for and risks of new transmission investment. Maintain supportive regulatory policies for natural gas and oil pipeline investments. FERC should continue to provide a stable regulatory environment for natural gas and oil pipeline investments. Invest in low-carbon generation R&D. For the United States to remain a global energy leader, investments in new, innovative low-carbon generation sources must be made now. The government should make funding available for precommercial R&D projects in nuclear, clean coal, carbon capture, and storage and renewable sources. Making these investments now will drive down costs and preserve generation options in the future. Advance infrastructure for electric and alternative fuel vehicles. Encourage state and local transportation planners to incorporate alternative fuel vehicles into their transportation infrastructure plans. In addition, fully implement provisions of the FAST Act that promote electric and alternative fuel vehicle charging and fueling infrastructure, and support new initiatives to build out electric vehicle charging infrastructure. America’s infrastructure gap is too big to be filled by public capital alone. This fact would be true even if the government were to expand funding across all grant programs, make them accessible to a wider range of infrastructure projects, streamline regulations and enact policies that would make it easier for projects to be approved. The American Society of Civil Engineers estimates that the gap between total infrastructure needs and estimated funding is roughly $2 trillion through 2025. Fortunately, a tremendous reservoir of private capital is looking for attractive investment opportunities, and infrastructure projects are well positioned to deliver strong returns. As an asset class, infrastructure offers returns that can outpace traditional investments like stocks and bonds, as returns are tied to long-lived, tangible assets that can provide predictable cash flows well into the future. Moreover, the private sector has shown an interest in not only financing but also building, operating and maintaining infrastructure assets. If the United States is to close its infrastructure gap, private-sector interest and investment must be encouraged and facilitated at all levels of government by leveling the playing field for private capital, providing guaranteed returns, and exploring more innovative approaches to attracting and leveraging private investment through bond and credit programs. Within this constrained fiscal environment, it is critically important that states are able to leverage innovative private financing options for infrastructure projects — particularly in the form of P3s. P3s have been successfully leveraged in the United States and around the globe to support the development of infrastructure projects across a range of modes and sizes. Unfortunately, many states still have a long way to go in their ability to successfully attract, evaluate and manage P3s. One-third of states currently lack legislation that permits P3s for infrastructure projects, and provisions vary widely among those states that do have laws in place — including the scope of authorized projects, contractual provisions, governance terms and other requirements. Encourage harmonization of existing state P3-enabling statutes. The wide variation in scope and requirements across state P3-authorizing statutes limits the ability of private investors to engage in infrastructure projects in more than one state. The federal government should develop or endorse specific and detailed guidance on how to structure P3-enabling legislation in ways that limit variation across states and remove barriers to private-sector financing. Reward state adoption of P3-enabling statutes. The federal government should consider implementing a program that provides incentives and support for states that adopt suitable legislation and successfully use it to complete P3 transactions. Expand support for “predevelopment” activities. Many state and local governments lack the financial, time and technical resources necessary to solicit, evaluate and plan potential P3s. To reduce the burden on public-sector sponsors of P3s, the federal government should provide funding to state and local governments exploring opportunities to partner with the private sector on infrastructure projects. The $12 million set aside by the FAST Act to fund the Regional Infrastructure Accelerator Demonstration Program, which will provide direct support for predevelopment activities, is a model approach that should become the standard. Federal credit programs — including TIFIA, WIFIA, and Railroad Rehabilitation and Improvement Financing (RRIF) programs — are instrumental in narrowing the gap between the public and private cost of capital for large-scale infrastructure projects. Moreover, these programs represent a highly efficient use of public resources, as they leverage relatively small amounts of federal funding to support large infrastructure projects — through secured loans, loan guarantees and standby lines of credit. Specifically, the U.S. Treasury Department estimates that every $1 in federal TIFIA funding can provide $10 in credit assistance and support up to $30 in transportation infrastructure investment. Increase funding for existing federal credit programs. Despite robust demand for TIFIA, WIFIA and RRIF financing, these programs remain underfunded. For example, TIFIA funding was slashed from $1 billion in FY2015 to just $275 million in FY2016. Reform the federal scoring system. The amount of credit that federal programs extend to infrastructure projects depends on the scale of expected losses due to loan nonperformance, relative to the amount of program appropriations. Specifically, TIFIA and WIFIA programs are required toplace a portion of their appropriations in reserve each year as a hedge against default risk. While the federal government should continue to carefully manage risk, its current approach to calculating risk is overly conservative. As a result, federal credit programs are not exercising their full capacity to extend credit to credit-worthy projects. Evolve existing credit programs to accomplish the goals of an infrastructure bank. Existing federal credit programs could be streamlined and expanded to include additional infrastructure categories (such as social infrastructure) and managed in a way that provides many of the same functions and benefits as a national infrastructure bank — namely, providing a central source of long-term, low-cost loans and credit lines backed by the federal government’s bonding abilities. Application review processes, risk assessments, approvals and loan administration could be consolidated across programs to improve program efficiency and provide streamlined and timely service to credit program applicants. Lending processes and credit requirements across programs should be reassessed to ensure that they are providing sufficient spending flexibility to state and local project sponsors and not discouraging state and local governments from applying. Consolidation of federal credit programs — or any future proposals for an infrastructure bank — should reduce the complexity of pursuing innovative P3 financing transactions by making funding conditional on the acceptance of standard terms and conditions for public sponsors and private-sector investors. Program consolidation and potential infrastructure bank proposals should also require that funded projects generate a revenue stream from which to repay the loan and support future credit extensions. State infrastructure banks (SIBs) provide billions in low-cost loans to support private-sector involvement in local infrastructure projects, and SIBs have a track record of generating more investment per dollar of funding than traditional public grant programs. However, most SIB activity is concentrated in only a handful of states, and many state infrastructure banks are undercapitalized and underutilized: Only 23 out of the 33 existing SIBs are active. The federal government should work with states to reconstitute dormant SIBs and improve their ability to extend credit and loan guarantees to infrastructure projects, particularly those led by private investors. Recapitalize SIBs. The federal government should help to recapitalize dormant SIBs, either through direct funding (as has been proposed in past House transportation reauthorization bills) or through the creation of federal tax credit bonds that could be administered by SIBs. Ease federal regulations. Congress should expand access to SIB financing by easing federal regulations regarding contracting, environmental assessments and project eligibility for loans disbursed after initial federal capitalization has revolved. Of the various funding and financing options available to state and local governments to support infrastructure projects, tax-preferred bonds are the most commonly used, and tax-exempt municipal bonds (“munis”) top the list. In fact, nearly 75 percent of outstanding debt issued by state and city governments is owned by U.S. households — most often through municipal bond funds. The tax- exempt status of munis makes them highly attractive investments for individual and institutional investors, and there is no cap on the amount of debt that state and local governments can issue. However, munis have two important drawbacks: They cannot be used to finance projects with significant private-sector investment or ownership, which limits their ability to be used in the context of P3s, and they are not attractive to private investors with a low or zero marginal tax rate (e.g., public-sector pension funds, international investors). As an alternative to muni bonds, PABs can be used to facilitate private- sector investment in P3 infrastructure projects. Unfortunately, PABs are constrained in the amount of private investment they can stimulate due to caps on each state’s annual issuance — qualified highway and surface freight transfer projects are subject to a nationwide $15 billion cap — and the fact that they are subject to the alternative minimum tax. Notably, during the financial crisis, Build America Bonds (BABs) provided a more flexible version of munis by giving state and local governments the option to receive transferable tax credits or a direct federal subsidy on the bond’s interest. In addition to preserving its support for tax-exempt municipal bonds, the government should expand other tax-exempt bond options as a way of more efficiently leveraging federal funds and widening the pool of private investors engaged in financing, building, operating and maintaining America’s infrastructure. Maintain tax-exempt status for municipal bonds. Maintaining the tax-exempt status of municipal bonds is critical to guaranteeing that state and local governments will continue to be able to fund the expansion and upkeep of airports, roads, bridges and other public infrastructure through competitive, low-interest bonds. Expand PAB capacity for all infrastructure categories. The federal government should lift state- level volume caps for PABs, and states should provide exemptions from the PAB volume caps for additional infrastructure categories. For example, removing public drinking water and wastewater projects from the PAB volume cap is projected to produce up to $50 billion in additional private investment over a 10-year period, at a cost of just $201 million in forgone federal tax receipts. Flexible tax credits. Congress should offer transferable tax credits for bond-eligible projects. States could either transfer the tax credits to private-sector project sponsors or sell them to raise capital. In turn, private-sector sponsors could either claim the credits for themselves or sell them to raise capital. Direct payments. Congress should provide a direct-payment bond option, in which state and local governments receive direct federal payments to subsidize a portion of the taxable interest paid to private bond holders. In cases where private investors are subject to low or no federal income tax, state and local governments could then pass this subsidy on in the form of higher interest payments.